Calgary multi-family builder Cardel Lifestyles was recently named Multi-Family Builder of the Year at the 2017 Canadian Home Builders’ Association-Alberta Awards of Excellence in Housing and Safety Leadership. The awards were handed out at the BILD Alberta fall conference in Jasper on September 15. Created in 2000 to expand Cardel’s quality and value to town-house and condominium buyers, Cardel Lifestyles is today one of Calgary’s largest and most recognized condo and town-home builders. It has designed and built 15 multi-family developments since 2000, totalling 2,700 condos and town homes. Cardel Lifestyles’ current developments include Auburn Walk (in Auburn Bay), Cranston Ridge (in Cranston), Nolan Park (in Nolan Hill), Sage Place (in Sage Hill) and Walden Place (in Walden). The award was based on Cardel Lifestyles’ show home designs, site safety record and customer experience ratings, which were measured via independent surveys conducted by CustomerInsight one month and 13 months after customers moved into their condo or town house. Cardel Lifestyles has won the award each of the last three years. While it may seem like a simple rule, it only works when there’s buy-in across the board. One of the more widely recognized results brought the veteran multi-family builder into the spotlight at the 2017 Canadian Home Builders’ Association-Alberta Awards of Excellence in Housing and Safety Leadership Awards, which were announced at the Building Industry and Land Development Alberta annual conference in Jasper on Sept. 15. Here, Cardel Lifestyles was crowned Multi-Family Builder of the Year. 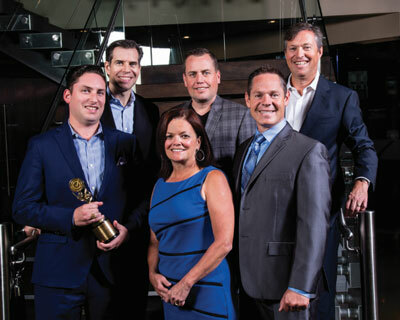 It was one of three overall awards, including Calgary-based Stepper Homes capturing the Ralph Scurfield Builder of the Year and Small Volume Builder of the Year going to Vicky’s Homes of Edmonton. And not just in one end of the home building process, either. All three trophies are earned by points from home design and various measures of safety and customer satisfaction. Cardel Lifestyles’ current developments are in Auburn Bay with Auburn Walk, along with Cranston Ridge in Cranston, Nolan Park in Nolan Hill, Sage Place in Sage Hill, and Walden Place in Walden. CustomerInsight is a research company that conducts home buyer surveys. 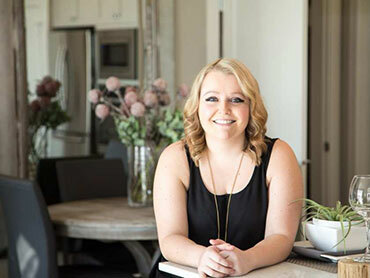 At a competition based on the data collected from these surveys, the HOME (Home Owner Mark of Excellence) Awards, Cardel Lifestyles has won in its category for three years running. Tim says it’s about “being focused on exceeding expectations. When asked about what safety means to Cardel Lifestyles, Tim says his passion for it reaches back to his childhood. “I worked when I was younger with my dad and uncle on a farm raising beef cattle,” he says. While involved in different lines of work, the same value applies, and Tim says his father’s commitment was a source of inspiration. In the home categories at this year’s awards, Cardel Lifestyles landed five finalist positions in two categories and won with the Evergreen 2-H2 at Walden Place for Apartment Under $500,000. The builder was a lock to win this award, with the only other finalists — the Legacy-H-1 and Palliser B — being by Cardel Lifestyles, as well. Cardel Lifestyles also had its Bridlewood-E2 and Park-E2 qualify as finalists for the Townhome $350,000 to $500,000 award. “It’s got a large wrap-around deck, it’s got a large island of which we have an option shown where you can do a dropped island so people can sit a little easier at it, like a table,” Brad says.With the great room, dining area and kitchen, there’s versatility. “(Home buyers) can increase their living room, or they can decrease their living room, they can make their dining area bigger, it’s very flexible and very bright. The team behind Cardel Lifestyles is now looking to build off of its success with a new brand. Starting from this past May, Logel Homes will be the brand attached to the large volume, high quality, and affordable condos and townhomes in new communities, previously brought to market through Cardel Lifestyles. 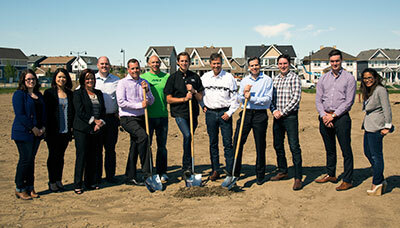 Its first being Auburn Rise, which opened pre-construction sales in Auburn Bay earlier this year. The company’s active developments — Nolan Park, Walden Place, Sage Place, Auburn Walk, and Cranston Ridge — will continue to operate under the Cardel Lifestyles banner. Future work by Cardel Lifestyles will shift to a different segment of multi-family development, such as villas, street-oriented townhomes, and inner-city development. Cardel Lifestyles president Tim Logel reflects on his company’s win for Best Innovation: Idea/Product for its independent air ventilation system at this year’s Calgary Region SAM (Sales and Marketing) Awards. 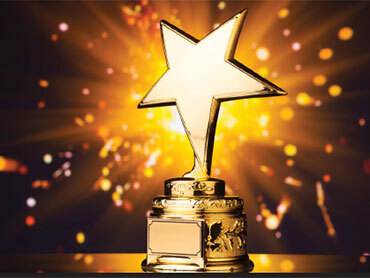 Q- To what do you attribute your innovation winning this award? A- What made this innovation special was that it exceeded what the customer was looking for. The customer did not want to pay extra for an air conditioning unit, and we included this improvement in the price at no cost. We listened to the customers and then invested the time to think and plan for a solution. We collaborated with our mechanical supplier to come up with a brand new design for fresh air to each condo. Q- Tell me about the concept. How does it work? A- After reviewing this item with one of our trade partners, we could see that we needed to bring fresh air in from outside the unit patio or deck into the condo so it could be regulated by fans and allow for setting the temperature of the air. Q- What are the benefits to going this route? A- In most low-rise buildings, the air flows from the hallway to each unit. Now with this improvement, fresh air flows into each unit so it can be controlled by each homeowner. This system eliminates any cooking odours from other units making their way into hallway. Q- How are your buyers responding to it? A- The customers love this innovation and have given us consistently positive feedback. A number of year ago we established innovation and continuous improvement as our overriding strategy in all aspects of our building process and customer experience, and the results have been awesome. When Scott Barker talks about Nolan Park, the word convenience comes up a lot. It’s how he refers to his new townhome and the end of the city it’s a part of. Not the least of which is the luxury of a swift commute to his job in Royal Oak. “I’m five minutes from work,” says Barker, who works for Royal Oak Audi. Nolan Park is a townhome development by Cardel Lifestyles in Nolan Hill. 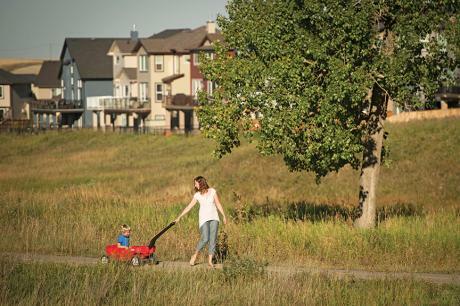 The master-planned community by United Communities is part of northwest Calgary’s Symons Valley corridor. The builder is also in various stages of sales and construction on multi-family developments in Auburn Bay, Cranston, Sage Hill and Walden. Before finding his townhome in Nolan Hill, he’s lived downtown, in Coach Hill, and in Coventry Hills. Barker took possession this past summer and quickly noticed the difference. He’s a quick drive to places to eat and shop, and an assortment of other businesses at commercial complexes Creekside Shopping Centre and Beacon Hill Shopping Centre. For groceries, Creekside has a Co-op, and Beacon Hill has a Costco. Nolan Hill and neighbouring community Sage Hill have hubs of their own. There’s a Loblaws City Market in Sage Hill and Sobeys in Nolan Hill. While Barker is a Sobeys regular, he says, easy access to Costco helped make the area a draw. And if there’s a reason to leave this end of the city, it’s easy to get there. 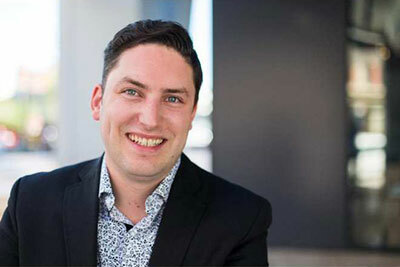 Connectivity is an important factor for residents of Nolan Hill, says Brayden Logel, Cardel Lifestyles’ director of sales and marketing. “Nolan is very conveniently located with access to several major roadways, including Sarcee, Shaganappi, and Stoney Trail,” Logel says. Barker bought a corner unit in the Vista floor plan. He liked the functionality of its dual master bedroom format. At press time, 33 per cent of the 123 townhomes at Nolan Park were sold. They start at $309,900 before tax. “Nolan Park offers the best townhome value in Nolan Hill for customers who are looking for more standard specifications, an ideal northwest location, and the most choice with their purchase,” says Logel. The development’s kitchen standards include quartz counters, stainless steel appliances, a full-height backsplash, and cabinets with soft-close doors. Ceilings have a knockdown texture, and on the main level, they’re nine feet high. “The townhome development also backs directly onto a seven-acre (2.8 hectare) park, giving residents immediate access to beautifully maintained green space,” Logel says. Floor plans at the development range in size from 1,265 and 1,575 square feet. Along with single car garages, there are double car and tandem garages, too. Barker’s has a tandem. When asked if the second bay would be additional storage space, he quickly shrugs that off. A sagging economy isn’t all bad news, there’s always some of that silver lining trimming the gloomy grey. In this case, it’s first-time home buyers who are seeing a glint of sunshine in the oil-fuelled downturn through increased choice which allows additional time to make that final buying decision, price adjustments, upgrade packages, and stubbornly-low mortgage rates. For Tim Logel, president and co-founder of Cardel Lifestyles, these situations are old hat. “This is my fifth time working through a market slowdown, and the consistent comment I hear from customers is that they are happy they made the decision to purchase in a slower market because the buying experience and value is better,” he says. 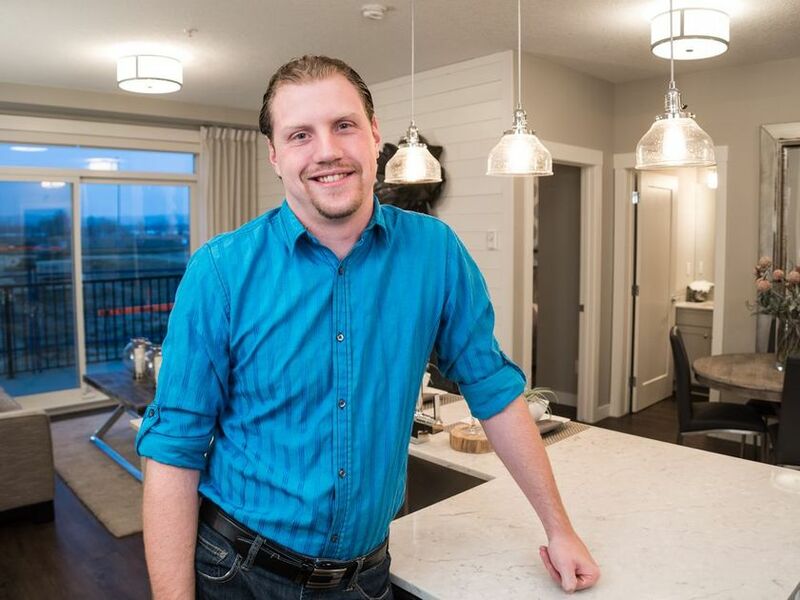 Ashley Wiens, a 29-year-old single guy, ended two years of house shopping in July when he laid down his deposit on a townhouse in Walden Place, a southeast Calgary development being built by Cardel Lifestyles. “I had been looking all over the city for a couple of years, off and on, but just couldn’t find anything that made sense for me to buy, financially or otherwise,” says the youth worker at the Boys and Girls Club of Calgary. After renting for five years on the west side of the city, Wiens crunched some numbers and came to the decision that, in the long run, buying made more sense that renting. “It just made economic sense to me. I have now have the chance to own my own place and get equity out of it,” he adds. “And Walden, with its amenities and future growth plans,” helped make the decision. Prices at Walden Place range from $139,900 to $339,900. Wiens purchased a 1,575-square-foot townhome with three bedrooms, 2 1/2 baths and a two-car garage. He expects to take possession in the early part of 2017. Brad Logel, Cardel Lifestyles area manager of Walden Place, is seeing steady, high-quality traffic in the sales centre, much of which has turned into sales. “The market isn’t quite what it was in 2013, but things are pretty good. We have 60 firm sales since February and have another nine or so in the works,” he says. Part of the reason for the activity, he feels, that first-timers these days are becoming more educated about the marketplace. “Most people understand that the best time to buy is in economic phases like the one we are presently in,” says Brad Logel, Cardel Lifestyles area manager of Walden Place. “There is great choice, so purchasers don’t have to feel rushed into buying, mortgage rates are at historic lows, and prices, in many cases, sure beat renting,” he adds. Over at Avi Urban, the multi-family division of Homes by Avi, first-time buyers are an important part of the company’s business plan. “With interest rates still historically low and confidence starting to build that home prices aren’t going to fall any lower, this is a great time to purchase,” says company sales manager Kevin Hatch. Avi Urban is also active in the Genstar Development Co. community of Walden with its 150-townhouse Jackson development that will see possessions beginning early next year. “I believe first-time buyers are becoming more educated to the fact home ownership can be their single largest source of savings — in that their payments build equity, as opposed to just paying rent,” says Hatch. For Jodi Dirk, buying an apartment-style condo in Cardel Lifestyles’ Cranston Ridge has turned out to be a really bright idea. Dirk, who works in sales for another Calgary home builder, was already living in the southeast community of Cranston just a few blocks away from the multifamily development, but her home was feeling a bit dated. She saw right away that the main-floor unit had a lot going for it, not the least of which was its location. Dirk’s other priorities included plenty of natural light and a bright colour scheme, along with a location that made it easy for her and her Yorkshire terrier, Pippi, to get out into nature. She also wanted a place that was ready for immediate possession. The condo fulfilled just about everything on her wish list, so she moved in last September. The apartment’s floor plan is thoughtfully designed to create both openness and separated spaces. The u-shaped kitchen with its expanse of white quartz countertop and stainless steel appliances looks out onto a dining area that flows into an inviting sunlit living room. Helping to seal the deal was Cardel Lifestyles sales associate Judy-Lynn Lavelle. “I can’t say enough about her,” Dirk says. “She was so good, so patient. Because I’m in new home sales I kind of look for that — especially the honesty part of it — and she’s fantastic.” The follow-up service from Cardel also does not disappoint, she adds. Dirk is loving the easy access from Cranston to Stoney Trail, Deerfoot Trail and Hwy. 2, and looking forward to the further development and maturing of her corner of southeast Calgary. Future plans call for amenities in adjacent communities that will include movie theatres and more recreation facilities. Nearby shopping is already plentiful. “We have a great community centre here, great pathways, the South Health Campus is close by, and I work in the south, so the area is perfect for me. Research shows that many homebuyers make the decision to purchase a home within seconds of walking across the threshold. Such was the case for Adam Smith. He’d been nurturing a nest egg, growing it bit by bit for a few years with the goal of purchasing his first home. “I’ve been planning this for a while and saving for the down payment,” says the 26-year-old electrician, who moved to Calgary from Newfoundland five years ago. Smith has worked for several homebuilders in the city, so he has his ear to the ground when it comes to new projects coming on line. “I’d looked at quite a few condo projects around the city, but nothing really seemed to stand out for me,” he says. Until he got wind of Walden Place, a new condominium and townhome development in the modernist community of Walden, nestled in Calgary’s deep south. “I checked out the show suite as soon as it opened and found that nothing else really compared,” he recalls. He already had a solid, positive impression of Cardel Lifestyle’s level of quality, as he had worked on a few of its projects. But he was really swayed by a few factors like the open kitchen layout — the design emulates the quality and space of the culinary space found in estate home designs and embraces features like an eight-foot-long, quartz-clad island and a full-size pantry. “It’s not galley-style like most condos. It’s a fully functional house-style kitchen,” he says. Ease of entertaining and the ability to whip up a meal in a beautiful space was important to Smith, as he often has family in town visiting. Smith purchased a two-bedroom, two-bathroom, 845-square-foot plan with an open concept, a full pantry and an outdoor terrace. His home features its own fresh air intake, so no sharing of air with his neighbours nor will there be intermingling of cooking smells — that was a big positive. The space offers thoughtful finishes from quartz countertops to vinyl tile flooring. The modern esthetic of the project was also a determining factor. Designed by NORR Architects, the project features both condominiums and townhomes elegantly peppered amongst pathways and landscaping on a four-hectare site that frames the south perimeter of Walden. Hardie concrete board exteriors in a variety of colours, as well as aluminum siding (it emulates cedar — think the feature splashes on Marda Loop infill designs) and flat roofs weave an appealing, contemporary facade. Walden Place will feature six, four-storey condominium buildings and 40 townhomes. A choice of diverse floor plans ramps up the offerings — there are 12 designs, ranging from a 544-square-foot, one-bedroom plan to two-bedroom and three-bedroom condominium designs. Townhomes are sized generously and feature three-bedrooms, a den and an attached double car garage. And for Smith, the location was a big plus. He is currently renting in the deep south and really likes it. His new home at Walden Place is a stone’s throw from Fish Creek Park and from Genstar’s (the developer behind Walden) latest launch of amenity green space, with its soccer fields, baseball diamond, meandering walking paths and a pretty pond. Literally across the street, on the other side of 210th Avenue S.E. in the area of Legacy, a 28-hectare commercial development is underway and will feature a wide array of shopping choices from coffee shops, to restaurants, grocery outlets and some big box offerings. “Walden is an established area with all of the green space and the Gates of Walden offering shopping, but buyers will also have the feature development across the road and condo living is convenient living. People living in a condo want to walk to amenities; they want coffee shops close by,” says Logel. The final factor that really closed the deal for Smith was price. “I looked at several other projects and nothing had the same price point and with an underground parking stall. No more shovelling or brushing off snow. That’s pretty exciting,” he says. In the late 1990s, Cardel Homes customers began providing feedback regarding a desire to help their children as young adults getting started with home ownership. Parents were looking for a more affordable housing solution and one that met the needs of a younger demographic. Tim Logel, Cardel’s VP at the time, could see an opportunity to listen and venture into the innovative and efficient build form of multi-family housing developments of condominiums and townhomes. Today, the new partnership between Tim Logel, CEO of Sherjen Developments, and Ryan Ockey, CEO of Cardel Homes, is leading the market in Calgary in both sales and customer satisfaction awards. Launched in 2000, the partnership named Cardel Lifestyles has succeeded in providing signature quality, innovative designs, affordable prices and attractive add-value developments in prime locations. In real estate it is always about location, and Lifestyles has consistently managed to find the best sites that include amenities like nearby restaurants and grocery stores, parks, schools and major roadways, in order to enhance quality of life. The big bonus to the new idea is that now past clients are buying condos and townhomes for themselves as they move to rightsize their homes and enjoy the carefree lifestyle these homes provide. Today, the new partnership between Tim Logel, CEO of Sherjen Developments, and Ryan Ockey, CEO of Cardel Homes, is leading the market in Calgary in both sales and customer satisfaction awards. Launched in 2000, the partnership named Cardel Lifestyles has succeeded in providing signature quality, innovative designs, affordable prices and attractive add-value developments in prime locations. In real estate it is always about location, and Lifestyles has consistently managed to find the best sites that include amenities like nearby restaurants and grocery stores, parks, schools and major roadways, in order to enhance quality of life. The big bonus to the new idea is that now past clients are buying condos and townhomes for themselves as they move to rightsize their homes and enjoy the carefree lifestyle these homes provide. Both Tim and Ryan wanted to carry on an important philosophy: listen to what the customer wants and provide features they were looking for in a home. The feedback provided the basis for the perfect blend of price and product, including carefully designed floor plans, a luxury specification, exceptional architecture and well-built buildings. Our top goal is to exceed customers’ expectations, treat them like we would want to be treated, and provide a stress-free experience of satisfaction. “Early in my life, my Dad and I built a barn on a cattle farm in Ontario and he instilled in me that we needed to build it right the first time, to do your best, and be passionate about the end result. Today, I try to instill that passion in my team, so we set high standards and goals, we measure how we are doing through customer surveys, and keep an eye on seeking excellence in all we do for the customers,” says Logel. CALGARY’S LEADING MULTI-FAMILY BUILDER – Over the past five years, the company’s strategy has focused on building and developing an A-team that focused on continuous improvement of all aspects of construction, and action items that supported the customer’s experience. “After years of finding ways to build better with more than 35 apartment buildings and over 60 townhome buildings completed, and 2,300 homes, a higher level of confidence was achieved by the team, and we were motivated by the positive responses from the customers to keep improving,” says Logel. The Lifestyles team seeks innovation through collaboration with trade and supplier partners, asking how we can work as team to improve. The large volume sales provide volume purchasing power for increased value in luxury standard specifications such as signature craftsman quality kitchens and wide open floor plans with larger windows. A long-term strategy of finding the best materials for the best price, and then putting them into the hands of the best trade partners, sets the company apart from competitors. Cardel Lifestyles has sold and built more multifamily homes in the last 10 years than any other builder. AWARD-WINNING BUILDER – In 2014 and 2015 Cardel Lifestyles was recognized for exceptional customer service and experience with the Home Owner Mark of Excellence. This award comes from a third party surveying all customers at one month after purchase, one month after you move in, and one year after you move in. Both years, Lifestyles led all multifamily builders in Calgary for best survey results. “Our team was thrilled to win this award, we knew that we were winning an award from the satisfaction levels of our customers,” says Logel. The company also won the New Home Buyers Choice award for top monthly surveys in Calgary multifamily. Early in 2016 the company received news that it was named one of Canada’s Best Managed Companies for business excellence. The award is the leading business awards program in Canada. Since 1993 companies across Canada have been submitting to a rigorous and independent process for evaluating a company’s management abilities and best practices. It was the first year the company applied for the prestigious award, “and our first time to win an award that was outside the housing industry,” Logel indicates. “The award is a testament to our team for the constant drive to improve, innovate, and adapt to a changing market. Going the extra mile for the customers has seen exciting results. Our best practices have been validated by business experts. We now have more confidence and I can see that each day in the team,” says Logel. It also means that finding and attracting top talent is now easier. As Lifestyles develops new multi-family communities in Calgary, and is now active in five including Auburn Bay, Cranston, Walden, Sage Hill and Nolan Hill, the company strives to make a difference by investing in Calgary. Lifestyles is committed to two investment programs, the Calgary Resolve Campaign and the Calgary Women’s Emergency Shelter. The Resolve program has a goal of providing housing for 3,000 vulnerable and homeless Calgarians. 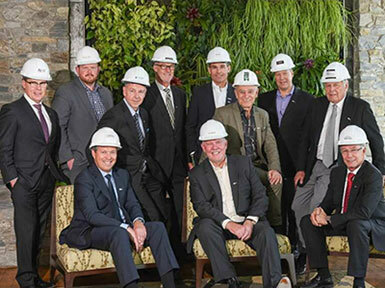 Lifestyles has committed to building an apartment building to house 28 of these homeless Calgarians. For the past five years, Lifestyles has been sponsoring the Calgary Women’s Emergency Shelter, which is supporting victims of family violence. The effort has assisted in the renovation of the shelter, and ongoing support for the more than 14,000 women, children, youth and men who sought support of the shelter’s programs and services in 2015. LOOKING FORWARD – From the customer who is looking to get started in home ownership, or to the older demographic looking to enjoy the benefits of condominium lifestyles, Cardel Lifestyles is looking forward to designing residences for a wide range of needs and price ranges. Cardel Lifestyles has earned a place among Canada’s top home builders, and will continue to follow best practices that keep them a leader in the housing industry and set standards of home building excellence. “We work hard, do our best, love what we do, and make every effort to make our developments a special place to live. We will continue to seek our customer’s feedback, improve, and deliver homes we can all be proud of,” summarizes Logel. 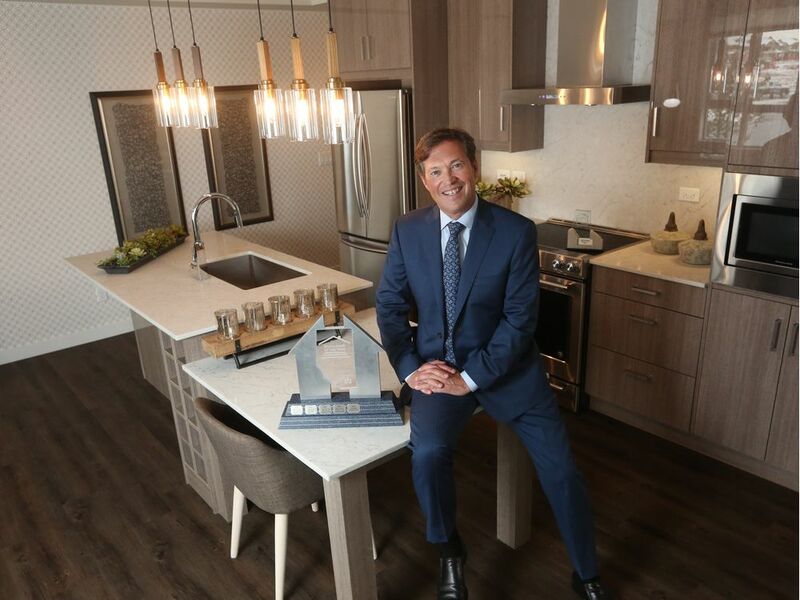 Armed with a trifecta of recently-presented industry awards, Cardel Lifestyles continues to do what it does best — build and sell condominiums and townhomes. 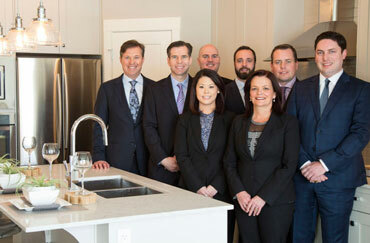 The company, the multi-family division of industry veteran Cardel Homes, was the recipient of the Home Owner Mark of Excellence Award presented by Customer-Insight; the New Home Buyers Choice Award, given out by the Professional Home Builders Institute; and was named among winners of Canada’s Best Managed Companies Awards presented by Deloitte. One of those is Walden Place that is going up in the very popular and successful Genstar Development Company community of Walden at 192 Avenue S.E. With a projected buildout date of 2021, Walden Place will have 428 condominium apartments and 40 townhouses. There is already one show home open, but five more will be added next spring. 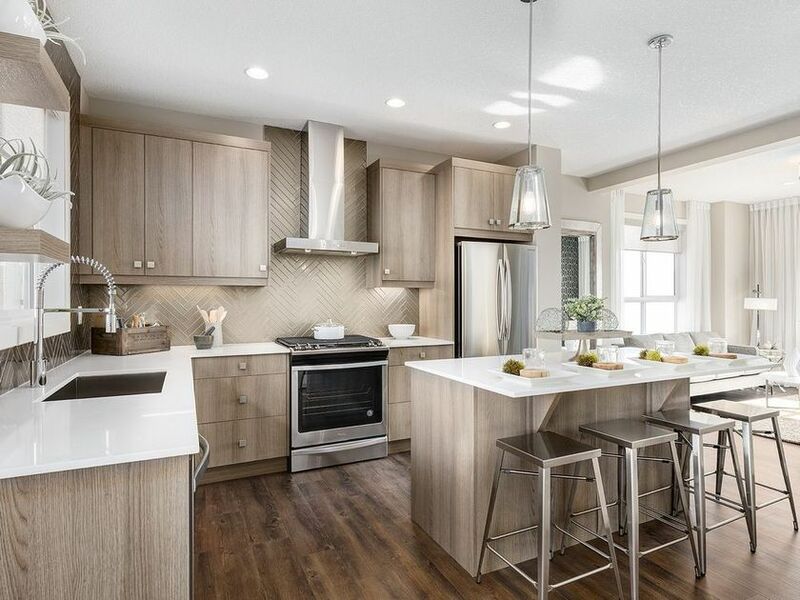 Cranston Ridge, in Brookfield Residential’s Cranston community is made up of 152 units with four condo show suites — with a townhome show home opening this summer. It is currently 60 per cent sold and should be completed in two years. 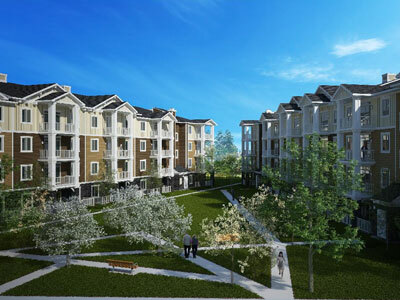 Auburn Walk, in Brookfield’s Auburn Bay, will be finished in the fall of 2017. About 65 per cent of the 176 units split among two buildings have been sold. 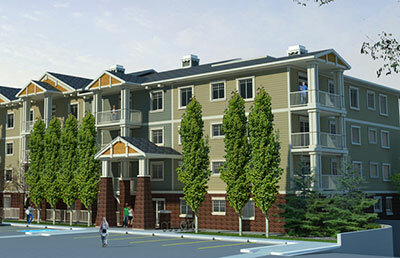 The last of four buildings in Sage Place, in United Communities development in northwest Calgary, has been launched. With 75 per cent of the units sold, Logel expects work to be wrapped up next summer. Staying in the northwest and with United Communities, Cardel Lifestyles has recently opened new townhouse show homes in its Nolan Park project, but it will be a “couple of years” building out the 123 units in the development,” says Logel. So, there is plenty of work and lots of buyer interest despite the economic slowdown, he adds. “A number of years ago our executive team made a plan that included a detailed focus on improving all aspects of the condo and townhome building process. “The team’s focus was on execution of the plan as we believed our customers would be pleased with the overall results, and was put together with a well thought out customer service plan — and so far it’s been working and results have been very exciting for us,” says Logel. 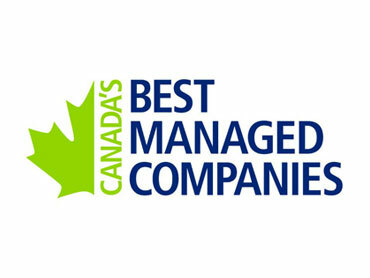 CARDEL LIFESTYLES was named one of Canada’s Best Managed Companies in 2015 for excellence in business performance. The Best Managed program recognizes Canadian-owned and managed companies with revenues of more than $10 million, demonstrating strategy, capability and commitment to achieve sustainable growth. Cardel Lifestyles has shown a dedication to providing an exceptional customer experience, which has helped to solidify the company’s position as an industry leader in sales and customer satisfaction. Cardel Lifestyles has built more multi-family homes in the last 10 years than any other builder in Calgary. The award is a testament to the people at Cardel Lifestyles and their constant drive to innovate and	improve processes. It’s also thanks to their experienced consultants, and their trade and supplier partners. This culture of continuous improvement is evident in Cardel Lifestyles’ industryleading	build times. Through hard work, dedication and teamwork, the company has averaged less than nine months to complete each of their four-storey wood-frame buildings. This culture has also contributed to some very unique product innovations and award-winning floorplans. “Best Managed companies are strong in strategy, capability, commitment and financial performance. They are all great Canadian business success stories,” Trending Cardel Lifestyles named one of Canada’s best managed companies says Peter Brown, Partner, Deloitte and Co-Leader, Canada’s Best Managed Companies program. In addition to its Best Managed Company award, Cardel was also recognized with two additional awards from other organizations in 2015 for providing one of the best overall customer experiences in the province. The New Home Buyers Choice Award and the Home Owner Mark of Excellence are based on customer feedback and are both administered by a third-party survey company. These awards were a major part of Cardel Lifestyles’ corporate strategy in 2015. Building in many of Calgary’s best master-planned suburban communities with some of North America’s most respected developers, including Brookfield, Genstar and United, has been a key part of Cardel Lifestyles’ success. The ability to operate in five communities has allowed the company grow, offer options to customers and continue as a sales leader, even during times of short supply. Today in Calgary, homebuyers can view 12 Cardel Lifestyles model suites in five locations throughout the city. Established in 1993, Canada’s Best Managed Companies is one of the country’s leading business awards programs recognizing Canadianowned and managed companies that have implemented world-class business practices and created value in innovative ways. Applicants are evaluated by an independent judging panel on overall business performance, including leadership, strategy, core competencies, crossfunctional collaboration throughout organization and talent. Winners of the 2015 Canada’s Best Managed Companies award, along with Requalified, Gold Standard, Gold Requalified winners and Platinum Club members, will be honoured at the annual Canada’s Best Managed Companies gala in Toronto on April 12, 2016. On the same date, the Best Managed symposium will address leading-edge business issues that are key to the success of today’s business leaders. The location was ideal because most of her friends and family are in south Calgary, including her parents who live in nearby Chaparral. But getting a place of her own became a reality when she looked at the price list. About 70 per cent of condos at Walden Place are less than $250,000. The new development by Cardel Lifestyles, featuring apartment-style condos and townhomes, opened sales earlier this year. The least expensive condo in the lineup is $149,900, before tax. She’s been in the rental market for two and a half years, including her current home in Kingsland. Measuring her expenses as a renter against what owning a condo at Walden Place would cost — Vettori liked the value. “The price range was low compared to what I thought it would be so it seemed like great time to actually buy,” says Vettori, who works for an insurance company at an office in downtown Calgary. She chose the Sundance, which is a 624-square-foot floor plan. This is the least expensive option in a two bedrooms and one bathroom orientation at Walden Place, starting from $174,900, before tax. Vettori says the second bedroom can be used for a roommate, if she choses to have one down the road. But in the meantime, it’ll be bonus closet space. “I like how at Walden Place, all the floor plans are open-concept,” Vettori says, contrasting it with older units she’s rented, where spaces such as the kitchen were closed off. This includes one, two and three bedroom options. There’s also a townhome component to the development, where there’s a standard plan that measures 1,549 square feet. A full-sized example of what’s available at Walden Place is displayed at its sales centre at 23 Walgrove Cove S.E. Here Cardel Lifestyles has unveiled a show suite in its Palliser floor plan. Vettori was impressed by the specifications package at Walden Place, noting that kitchens come with quartz counters, stainless steel appliances and cabinets with soft-close doors and drawers. “All of their standards were pretty high-end,” she says. Appliances include a 30-inch smooth-top range, hood fan, multi-program dishwasher and 21 cubic foot fridge. The cabinets are modern shaker and offered with four pull-handle options. Also in the kitchen is a chrome single-handle faucet with a pull-out sprayer, double mount stainless steel sink and full-height tile backsplash. The condos have nine foot ceilings and feature. For flooring, it’s luxury vinyl plank in the entryway, kitchen, laundry space and bathrooms and 38-ounce high-performance carpet with a cushy eight-pound underlay in the bedrooms. Other benefits include sound attenuation and fresh-air intake. The building exterior is another important part of the plan at Walden Place. Cardel Lifestyles is following with a development that Logel says will boast a “classic modern look.” It’s done with big windows, James Hardie exterior siding and a heavy duty aluminum that resembles cedar. Walden is a community by Genstar Development Co. that brings its residents plenty of added value, including green space, connectivity to major city arteries and access to commercial amenities, says Logel. In 2000, he became a co-owner of Cardel Lifestyles. Since then, it has set itself apart with high-quality apartment condominium and town-home plans in prime locations, product customization and award-winning customer service. For the last 10 years, Cardel Lifestyles has outperformed the competition in sales. It is also the most recent winner of both The New Home Buyers Choice Award and the Homeowner Mark of Excellence, two independent award programs. That approach is a hallmark of Cardel Lifestyles and the reason it has become the builder of choice for land developers in Calgary and like-minded contractors and suppliers. The townhome has provided many first-time homebuyers and downsizers the best option for living in a spacious, single-familylike home at an affordable price, which is why this product form has sold out almost everywhere in town. And in Cranston, Cardel Lifestyles is releasing what could be the final chance to own a new townhome in this popular southeast community. 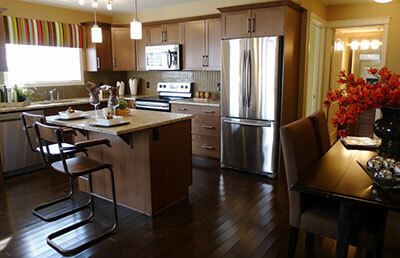 With only 15 units, Cardel Lifestyles’ townhomes in Cranston Ridge are extremely limited. And with all the standard features and obvious advantages of its enviable location in the community, it’s likely that they will be very popular, says sales and marketing manager Brad Logel. After all, Cranston Ridge’s apartment-style condos have been very well received, with their first two buildings all but sold out and the third (of five) more than 50 per cent sold. “We now have something for every buyer… quick possession condos, condos where you can make your own design choices, and now large townhomes,” Logel tells Condo Living. Cranston Ridge will have a total of 271 units (256 condo apartments and 15 townhouses) on build out. All of the condos and townhomes are designedto maximize the buyers’ enjoyment of their extraordinary location along the southern ridge of Cranston. But the Cranston Ridge townhomes are of special note. 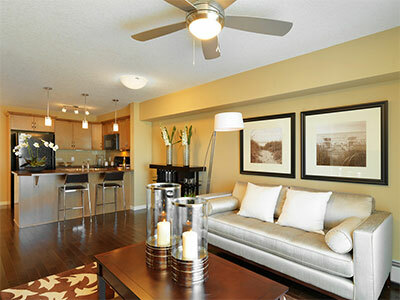 They were designed to provide all the comfort, convenience and style that buyers may not have seen before in Calgary. These are multi-level townhomes with double driveunder garages that come through in the amount of storage space they provide, and the well-thought-out floor plan that gives a new twist to the open concept layout. The townhomes are 1,550 square-feet with three- or two-bedroom options with small variations on size and design depending on the unit’s location within the townhome block. The living area upstairs is quite large and has a very functional flow with an L-shaped kitchen counter with a window over the sink looking out to the deck. “This adds to the sunny outlook of the interior, and not very many townhome designs have this feature,” Logel says. It is an open-concept design that’s conducive to entertaining with a good-sized island and a roomy pantry, plus nine-foot ceilings in the main floor and developed lower level. Cardel Lifestyles, however, was able to tweak the open-concept plan to give a sense of separation between the kitchen, dining and living rooms. Their location in Cranston is a big plus. “Cranston is a fully established community, everything you need is already there, including shopping, coffee shops, schools and a huge multi-purpose community hall. Cranston is just minutes from the exciting Seton commercial centre that includes the South Health Campus. The whole area adds a lot of value to your home and quality of life,” Logel says. Cranston Ridge has five different show suites to view. They are also presently building condos at Auburn Walk and Sage Place along with townhomes at Nolan Park. You can also watch for their next development, Walden Place condos and townhomes that will be coming this February. Steps from the action — restaurants, shopping, coffee cafes and schools — Cranston Ridge features a collection of 256 apartment-style condominium homes. They range from 523 square feet up to 1,038 square feet, along with 15 two-storey townhomes with double attached garages. “The beauty of this project is that you don’t have to wait for anything. Cranston is an established community with all of the amenities in place,” says Brad Logel, sales and marketing manager for Cardel Lifestyles, the builder behind the project. And the fact that the project spans the escarpment overlooking Fish Creek Park with hectares of park and pathways that meander down to groves of aspen trees and open fields leading to the banks of the Bow River elevates the bar further. On the escarpment, the project is nestled between move-up and estate-style homes with a tot-lot on either side. “It’s all about location,” says Logel, adding that Cranston Ridge builds on Cardel’s success with its first Cranston project — Cranston Place. The company also has projects in Sage Hill, Nolan Hill and Auburn Bay. Cranston Ridge spans five phases, each a separate four-storey building sheathed in stone and James Hardie siding with attractive batten detailing and a welcoming entrance portico. The project weaves through parks and tot lots with a lovely landscaped space that is slated for a community garden where residents can grow and harvest fresh vegetables. Two of the phases are complete with a third ready for occupancy in March of 2016. Several floor plans are on display in building one including the popular one bedroom design, the 624-square foot Seton plan and four two-bedroom plans, including the Anniversary, the Ridge, the Fish Creek and the Bow 2. The Fish Creek 2, a 1,038-square foot, two-bedroom home with an ample-sized den and large terrace features a large kitchen with island. Here there is room to prepare vast feasts for company or to cosy up with friends at the island for a heart-warming chat over a steaming cup of French roast coffee. The design is well thought out and allows for private spaces, as well as open areas to entertain large groups. The home’s warm and cosy vibe really starts when one first enters the home, where the entranceway leads down a long and elegant hallway with plenty of width. The floors are clad in a wide-plank laminate cork flooring that emulates hand-scraped hardwood. The design makes a statement, delineating the entrance from the main living spaces. To the left, through a pair of glassed French doors, a large den offers a respite and a quiet space to work from home, pen a letter or enjoy a cup of tea. A secondary bedroom with an oversized window (it takes up most of the far wall) and a judiciously sized closet, grace the far corner of the home. The room is bright and airy and features a pretty accent wall clothed in dove grey and white striped wallpaper. Adjacent to the bedroom, a four-piece bathroom doubles as both a powder room for guests and the next best thing to an ensuite for the secondary bedroom. The hallway then spills into the main open-concept living spaces – the large kitchen with its white quartz countertops and island with eating bar and contemporary waterfall edge sparkles in the sunlight. Stainless steel appliances, pendant lighting and a glass tile backsplash add to the effect. As this is a corner main-floor unit, the main spaces flow with light streaming from every side. Sliding doors from the great room lead to a large outdoor terrace that spills onto green space. A linear electric fireplace takes centre stage on the great room wall, a sculptural piece of art – the effect of the black fireplace against the light grey walls creates impact. The master bedroom is of a good size, featuring a walk-through closet with built-in shelving and an ensuite with five-foot shower. The Fish Creek model features two versions offering the same floor plan concept, but different square footages. The show suite showcases The Fish Creek 2. The Fish Creek 1 offers 992 square feet of living space. Pricing starts at $279,900 plus upgrades and GST. The show suite is $327,900, showcasing close to $30,000 worth of upgrades. Prices include one titled parking stall. Additional titled stalls are available for purchase. Cardel Lifestyles cemented its reputation as one of Calgary’s top multi-family builders, as it was awarded the 2015 HOME (Home Owner Mark of Excellence) Awards run by research company CustomerInsight™. The award is earned through the responses of customer surveys on questions about quality of workmanship and delivery, process and customer service, tabulated over a 13-month span. “We also won the New Homebuyer’s Choice Award earlier this year. Both of the awards are based on surveys done by Customer Insight and done for all Alberta New Home Warranty Builders and their new homeowners,” says Cardel Lifestyles’ sales and marketing manager Brad Logel. In collaboration with the Professional Home Builders Institute (PHBI), Customer- InsightTM surveys all new homeowners registered under the Alberta New Home Warranty Program, one at the time of possession, and then again thirteen months after possession. With over 600 homes builders and 16,000 new possessions annually, the New Home & Builder Reviews measure customer satisfaction in order to monitor industry performance and provide The New Homebuyers Choice AwardsTM to the best new home builders in Alberta. The staff of Cardel Lifestyles took some time out from Stampeding to celebrate the ground breaking of the company’s first condo building in its Auburn Walk project. Located in the southeast community of Auburn Bay, the first building will house 88 units and will add a second building of 88 units in the near future. The sales centre and showsuite are located at 105 Auburn Meadows Dr. S.E. The company also recently celebrated receiving the The Homeowner Mark of Excellence Award for 2014, presented by Customer-Insight. New home builders in Calgary were among the busiest in the country with first-time home buyers over the first three months of 2015, says a study by a Canadian mortgage provider. Over the first quarter of the year, 31 per cent of first-time home buyers that responded to a survey by Genworth Canada say they purchased through the new home market. This was tied for second place in the country alongside the rest of Alberta, which includes all respondents in the province living outside of the Calgary area. Vancouver paced this section of the survey with 36 per cent of its respondents going the new home route. Affordable mortgage rates have helped pave the road for first-time buyers, says Cardel Lifestyles sales and marketing manager Brad Logel. The multi-family developer has projects in Auburn Bay, Cranston, Nolan Hill, Sage Hill and Panorama Hills. “The first time home buyer has been able to take more time and be more selective in their purchase,” says Logel. Earlier this year, the Bank of Montreal (BMO) pulled back its five-year fixed term to 2.79 per cent from 2.99 per cent. TD Bank later posted the same rate. “It’s a long-term investment and while interest rates remain low, they know purchasing now will only benefit them in the future,” says Cody Nixon. 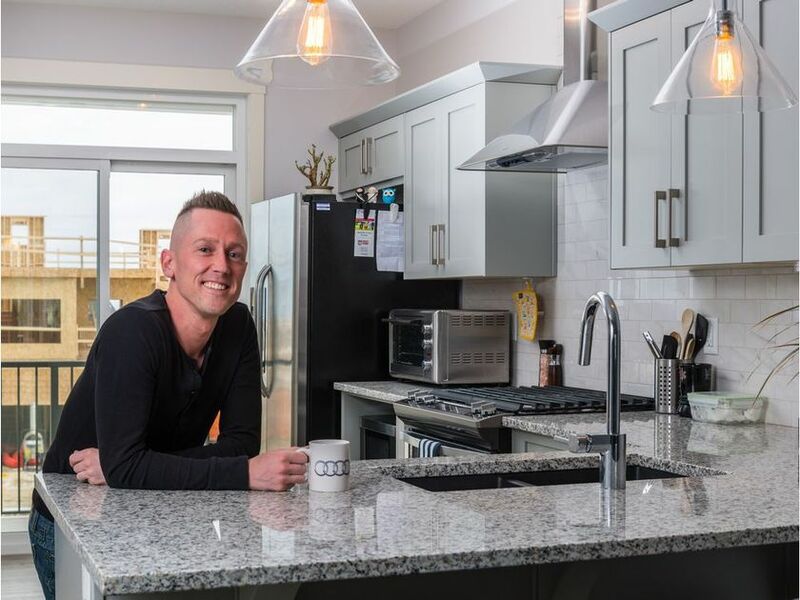 He is the area manager for Excel Homes in the Airdrie community of HillCrest, where the builder offers townhomes and front-attached garage homes. While price typically steers first-time buyers in where they decide to buy, other factors come into play depending on their stage in life, Nixon says. First-time buyers at Cardel Lifestyles’ sales centre have their eye on an attainable price at a location that meets their needs, says Logel. From the first quarter of the year, condos accounted for 24 per cent of homes purchased by first-time buyers in Calgary, says the study. This is followed by 20 per cent going to townhomes, four per cent for duplexes and 49 per cent in single-family homes. The study also showed 62 per cent of all respondents across the country had help from a spouse or partner when making their first home purchase. This was followed by 35 per cent who said they bought on their own and two per cent that got help from their parents. Along with helping with the down payment, parents are a big part of the home buying process for rookie purchasers in other ways, says Nixon. The veteran builders picked up trophies at the 2015 HOME (Home Owner Mark of Excellence) Awards run by research company CustomerInsight. These awards are earned through the responses of customer surveys on questions about quality of workmanship and delivery, process and customer service, tabulated over a 13-month span. These surveys are available through email and in a number of languages, including French, Punjabi, Italian, traditional Chinese and Hindi. “Every year, we receive thousands of completed surveys and builder reviews,” says Christian Caswell, president and founder of CustomerInsight. 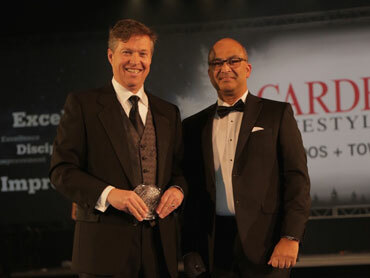 Cardel Lifestyles was the Gold Winner for multi-family in Alberta and Morrison Homes was the Gold Winner for Calgary. The gold distinction is awarded to the builder with the highest overall score in a category for the year. Morrison builds in seven Calgary communities, including Mahogany, Legacy, Auburn Bay and New Brighton in the southeast and Symons Gate, Nolan Hill and EvansRidge on the northwest end. Cardel Lifestyles builds condos and townhomes in master-planned communities including Sage Hill, Nolan Hill, Cranston and Auburn Bay. “Achieving this level of distinction means a lot to our organization because we worked as a team to obtain these industry leading results. My dad has always told me that in the life of a builder exceeding your customers’ expectations should always be your top goal,” writes Brayden Logel, Cardel Lifestyles’ business development manager in an email. His father Tim Logel is president of the company. Builders with an above average customer satisfaction score are rated certified finalists. There were six certified finalists from Calgary this year, including Sterling Homes, Cedarglen Homes, Baywest Homes, Broadview Homes, Aldebaran Homes and Streetside Homes. For a young couple stepping into home ownership, Nolan Hill was love at first sight. Convenient connectivity, a northwest Calgary location and appreciation for Nolan Hill’s charming Irish theme all factored in for Andy Lam and May Kim Lee, who are both in their 20s. Lam and Lee bought their first home at stylish townhome development Nolan Park by Cardel Lifestyles. 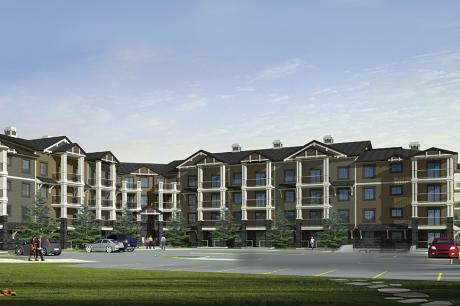 The company also has apartment-style condo projects in Sage Hill, Cranston and Auburn Bay. Lee grew up in Hawkwood and Lam’s from Dalhousie, so with family in the northwest, staying in the quadrant was ideal. They also have friends in the northwest and like that they’re familiar with the stores and other amenities nearby. Nolan Hill is a new community in the city’s scenic Symons Valley corridor by United Communities. Along with neighbouring Sage Hill, the area boasts 76 hectares in green space, parks and environmental reserve. When it comes to green space, townhomes at Nolan Park get the star treatment. The site is next to a sprawling seven acre park. The development is comprised of 123 townhomes and stretches along Nolancrest Heights N.W. Lee is studying human resources at the University of Calgary and graduates this year. Lam finished school last year and has a job that takes him to the city centre. He says the site has “convenient” proximity to major arteries, such as Stoney, Shaganappi and Sarcee trails. The couple bought an end unit in the Vista floor plan, which is one of three townhome styles offered at Nolan Park. 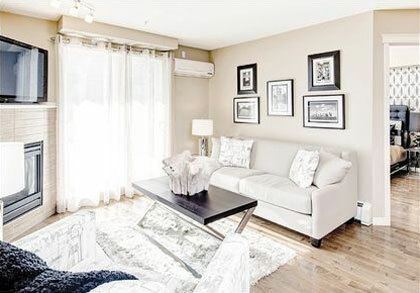 Before buying, they got a sense for what Cardel Lifestyles could do by exploring show homes at one of its nearby condo developments. “We could see the build quality and felt comfortable with our purchase,” Lee says. The Vista has a two-car tandem garage and starts at 1,265 square feet. It has two bedrooms and 2.5 bathrooms. In price, this option starts at $299,900. “We wanted an open-concept townhome,” Lee says. “There are no walls in the middle, that clears up the space and it will be more suitable in the long-run. Something that we can probably grow with as we move on to the next chapter of our lives,” says Lee. Kitchens are Nolan Park boast full-height ceramic tile backsplash, an appliance package, double-bowl stainless steel sink and cabinets with soft-close hinges. Then there’s the Hillcrest with a single-car garage and the Park with a two-car garage. Both have three bedrooms and 2.5 bathrooms. All three townhome styles have nine-foot ceilings on the main floor. The flooring includes linoleum in the kitchen, bathrooms, laundry room and entryway with 38-ounce carpets and eight-pound underlay elsewhere. They have a high-efficiency furnace and 50-gallon hot water tank. AREA: Nolan Hill is a community in northwest Calgary. SALES CENTRE ADDRESS: 355 Nolan Crest Heights N.W. hovels turned for the 176-unit development by Cardel Lifestyles at its prized site on Auburn Meadows Drive S.E. recently. The development’s first phase was brought on stream in October and is now more than 65 per cent sold out. Auburn Walk offers one- and two-bedroom condos from $149,900, before tax. 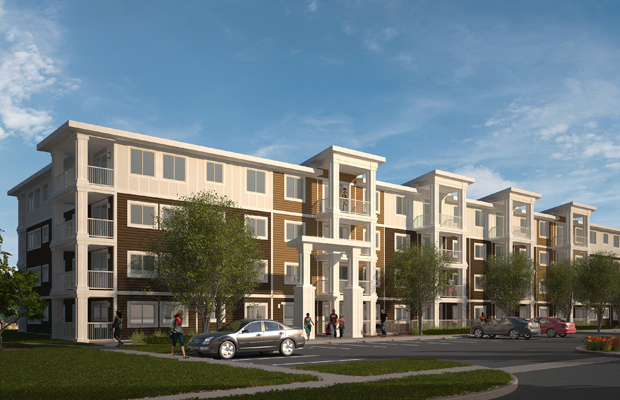 First possessions at the development are slated for summer 2016. Cardel Lifestyles is also in various stages of sales and construction on multi-family projects in Cranston, Nolan Hill, Sage Hill and Panorama Hills. Logel says amenity-rich locations are a common thread for his company’s developments, and this stretch of land in Auburn Bay is no exception. Logel counts connectivity with Deerfoot and Stoney Trail along with proximity to commercial amenities at Seton, the South Health Campus and the community’s 17 hectare (43 acre) freshwater lake among the benefits to Auburn Walk’s location. The development is also within walking distance of a grocery store at a planned market for the community dubbed Auburn Station. There are 17 Calgary area companies up for awards in a competition based on the experience of their customers. Winners of the second annual New Homebuyers Choice Awards for Calgary area businesses will be announced during a gala event for the Calgary region SAM (Sales and Marketing) Awards at the Telus Convention Centre tonight. The awards are earned on the strength of weighted responses provided by purchasers who fill out and submit the new home and builder review. This survey is received one month after possession by all buyers with homes enrolled in the Alberta New Home Warranty program. The review is managed by research firm CustomerInsight for the Professional Home Builders Institute. It’s offered in a variety of languages, including French, Hindi, Punjabi, Mandarin and Italian. 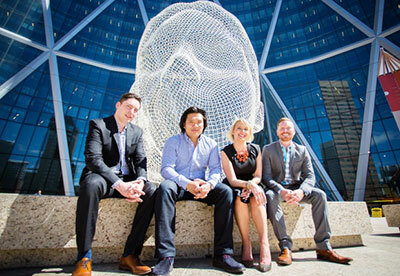 Three Calgary companies have two finalists each in this year’s competition. Morrison Homes is in the running for the category for single-family home builders with 150 or more possessions last year. The company’s multi-family division also placed in the multi-family category for 50 to 149 possessions. Cardel Lifestyles and Jayman Built are the other companies with multiple contenders for awards. The builder’s submissions for Cranston Place and Panorama West joined Morrison on the short-list in the multi-family category for 50 to 149 possessions. Jayman Built’s Innovations by Jayman and Jayman MasterBuilt divisions are both in the hunt for top spot in category of single-family builders with 150 or more possessions. The review asks home buyers about topics related to service, process and the quality of their home, says Caswell, adding these questions are relevant for builders of all types and volume sizes. Last year marked the program’s highest response rates, to date, with an average of 71 per cent across Alberta. Award winners from Edmonton will be announced at the Edmonton Awards of Excellence in Housing April 25. 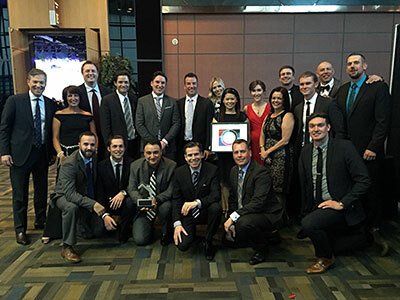 Apr 22, 2015 – CALGARY, AB – On Saturday, April 18, 2015, Cardel Lifestyles’ Panorama West development was awarded with a New Homebuyers Choice Award in the category of 50-149 Possessions, Multi-Family. The New Homebuyers Choice Awards are held in conjunction with CustomerInsight and the Professional Home Builders Institute and were presented at this year’s SAM Awards. As the 2015 Winner, Cardel Lifestyles had the highest Overall Experience score of any builder in Alberta. The New Homebuyers Choice Awards are based entirely on customer reviews collected by CustomerInsight, an independent customer research organization. Reviews are collected for all 615 builders registered under the Alberta New Home Warranty Program. The construction of condominium buildings including common areas can be challenging scope of work in comparison to other build forms such as singles, semis and townhomes. Cardel Lifestyles’ award for its Panorama West condo development is a testament to the company’s expertise, across the board. Cardel Lifestyles sends a huge thank-you to our customers for making us #1. April 13, 2015 – Calgary, AB – Cardel Lifestyles is proud to announce that two of its condo developments – Cranston Place and Panorama West – are finalists for a New Homebuyers Choice Award. Cardel Lifestyles is the only builder to be a two-time finalist in the category of 50-149 Possessions | Multi-Family. Results will be announced at Calgary’s SAM Awards, presented by the Canadian Home Builders’ Association on April 18, 2015. Condo buyers have five new reasons to visit the southeast community of Cranston. Seasoned condo developer Cardel Lifestyles opens new show suites at Cranston Ridge today. At build out, the development will have 271 units with prices ranging from $209,900 to $303,900, before upgrades and tax. The show suites are the one-bedroom, 624-square-foot Seton and two-bedroom plans called the Anniversary, Ridge, Bow 2 and Fish Creek 2. The largest of the two bedroom show suites is the 1,038-square-foot Fish Creek 2, which comes with a den. “We have condos that are extremely livable,” says Brad Logel, sales and marketing manager for Cardel Lifestyles. The company also has projects in Auburn Bay and Sage Hill that are in various stages of development. Condos at Cranston Ridge feature nine-foot ceilings, carpet with an eight-pound underlay, four-inch baseboards, an appliance package, including a multi-program dishwasher and stackable high-efficiency front-load washer and dryer. Cranston Ridge is the follow-up to the developer’s previous condo project in Cranston dubbed Cranston Place. Located at 522 Cranford Drive S.E, Cranston Ridge will be comprised of five condo buildings and two blocks of townhomes. In the first three buildings, 88 of the units have been sold. There are quick possessions available in the first two buildings, says Logel. The building exteriors feature James Hardie Board and stone. Logel notes, while the development has drawn a mix of demographics, many buyers at the development are either young professionals working in the south end of the city or down-sizers. The sales centre for Cranston Ridge is open 2 to 8 p.m. Monday through Thursday and noon to 5 p.m. on weekends and holidays. A battle with mental illness almost put the 55-year-old Patrick on the city’s streets a few years ago, which would have left him in the same uncertain situation as about 3,500 Calgarians who seek comfort and shelter each day. Patrick, who pays monthly rent of less than $500, has been at the Bob Ward Residence, run by Horizon Housing, for almost five years. “It’s a place where I can feel safe,” he says. “It’s a place where I can get away from the world if I’m having a bad day. It’s a comfortable place where I have a bed that I know I can sleep in every night. “I don’t have to worry about whether I’m going to get into a shelter. That stress is taken off. 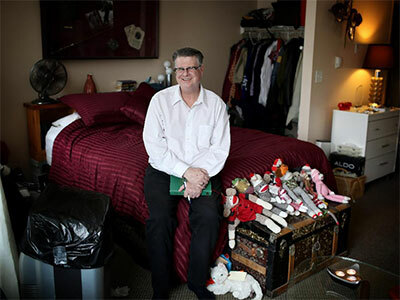 I have a place for my possessions and things I hold dear to my heart,” says Patrick, who lives off a disability pension and other government funding. People like Patrick will find more places to call home in the future thanks to an ambitious local capital campaign called Resolve, which is raising money to provide new affordable housing in the city for the current homeless population. Two projects are being planned near the Bob Ward Residence, which is a building owned and managed by Horizon Housing Society for tenants with mental health challenges, physical disabilities and people living below the poverty line. Patrick hasn’t personally benefited from the Resolve campaign but speaks passionately about it and the impact it will have on the city. Resolve is a capital campaign aimed at finding affordable housing solutions for people who are homeless. Its target is to raise $120 million. Right now, it’s about a third of the way to reaching that goal. Alan Norris, chairman of the Resolve campaign, said the genesis for the initiative occurred about two years ago and is effectively the capital component of the city’s 10 Year Plan to End Homelessness. “I looked at the issues these individuals face. They need a hand up, somewhat,” says Norris. “I also looked at the business case. . . We were spending as a province, and as a city, more and more money every single year to maintain people in a homeless state. Getting a roof over the heads of the homeless just seemed like the right thing to do on many levels. Those battling homelessness also hope the rental market will loosen a bit in the coming months, which will also in the battle against this issue. “We still have incredible tightness throughout the whole homeownership spectrum,” says Calgary Mayor Naheed Nenshi. “Prices to buy a home have gone up so people are renting longer. Because they’re renting longer, the rents are going up, meaning that people who should be working and should be able to pay market (value) are finding it difficult to find things they can afford. “They’re seeking affordable housing or subsidized housing and that means that folks who are homeless are having a lot of difficulty getting out of the shelters,” Nenshi adds. He notes the city needs to build more entry-level rental housing and more subsidized housing. “The Resolve campaign is a really, really good example of getting some of that non-profit or that affordable or subsidized housing . . . built. They’re doing a terrific job and the city is also a very happy and willing partner to get them building quickly,” explains Nenshi. A lack of affordable housing makes it difficult for people moving to Calgary for work to be able to live here. “The number one reason that people are concerned about coming to Calgary is not the weather; it’s ‘will I be able to afford to live there,'” says Nenshi. “We have to ensure that if we continue to attract business here, the people who work for those businesses, have somewhere to live. “Affordable housing boosts economic development by providing the labour force with reliable homes and increasing people’s disposable income, meaning households spend less of their monthly income on housing costs and more on goods and services that support the local economy,” the report says. Adam Legge, president and chief executive of the Calgary Chamber of Commerce, notes there are many different business arguments for ending homelessness, with one of them being the efficiency of public dollars. “It’s been proven that it costs more to have someone homeless over their lifetime than it does to get them into stable housing, because they’re typically able to deal better with continued employment and health and wellness,” says Legge. Jay Westman — chairman and chief executive of Jayman MasterBUILT, who is also on the cabinet team of the Resolve campaign — notes that getting the keys to homes into the hands of homeless people is vital in ending the societal problem. “This is really getting into systemic change,” he says. “And we’re talking about a campaign with infrastructure . . . We have the talent and the resources to handle all the various things in dealing with social affordable housing. What I’m very encouraged by is . . . the building industry (has) stepped up here at $15.4 million. That was the initial commitment and that is basically 330 keys to doors in itself. Diana Krecsy, president and chief executive of the Calgary Homeless Foundation, said the Resolve campaign is critical in ending homelessness in the city. “We have a need for affordable housing and we have a need to get community involved in owning the issue of solving homelessness,” she says. “Resolve is right there. They’re building (and) raising funds for affordable housing . . .They’re showing community leadership, innovation and ownership of the issue. . . Because of that campaign, we’ll be able to house 3,000 vulnerable Calgarians in the next four years. Marie-Claire Williams’ days are spent brainstorming the best way to enhance the look and feel of spaces for a Calgary renovation company. 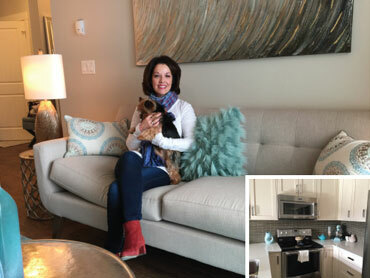 She’s a sales and design consultant for Cardel Renovations and recently took that discerning eye to the new home and condo market, as she set out to find the right fit for her own housing needs. Williams found what she was looking for at Cranston Ridge, a condo development by Cardel Lifestyles in the southeast community of Cranston. She picked a floorplan with two bedrooms and two bathrooms that measures about 900 square feet and is dubbed the Cranston. “It’s a really good size,” Williams says. “For me, it really worked. Going the two-bedroom route made sense from a number of angles. For now, the secondary bedroom will serve as a guest room. 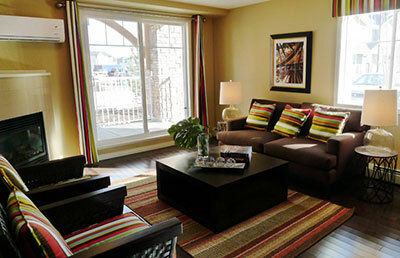 Condos at Cranston Ridge are offered in four interior colour packages. Standard features include nine-foot ceilings, kitchens with an appliance package, a full-height backsplash, double stainless-steel sink and chrome single-handle faucet. The windows are low-e, where “e” stands for emissivity, a measure of energy loss. The carpet has an eight-pound underlay and there’s linoleum in the kitchen, laundry room, bathrooms and entry. Settling into an already-established community was “appealing as a homebuyer,” Williams says. Her new place is in the first building and she’s slated to take possession in January. Cranston Ridge sells out of a sales centre at 302 Cranston Road S.E. The community is master-planned by Brookfield Residential and boasts a wide range of housing options, including various multi-family options, starter homes, move-up homes and estate homes. Cranston Ridge is Cardel Lifestyles’ second development in the community. Its first was Cranston Place, which at press time, was 97 per cent sold out. Cardel Lifestyles also has developments in various stages of sales in Sage Hill and Panorama Hills in northwest Calgary. Cardel Lifestyles launches sales today of a new development in Auburn Bay, and it promises to be like a walk in the park for those who will live there. Auburn Walk will feature a pair of four-storey condominium apartment-style buildings with 88 units in each. Homes will be one- and two-bedroom condos ranging in size from 544 square feet to 1,018 square feet. The name, Auburn Walk, derives from its walkability, says Brad Logel, sales and marketing manager for Cardel Lifestyles. The development is next to a commercial area and just a short jaunt from Auburn Lake in this master-planned community by Brookfield Residential. Auburn Walk is also transit-oriented, with access to rapid transit to downtown, and eventually the CTrain. Today is the grand opening of the sales centre, which features a purpose-built show suite. “We don’t have to wait for the first building to be built” to experience a show suite, says Logel. The sales centre is just under 900 square feet and features a two-bedroom, two-bath show suite. Auburn Walk’s first building features 11 different floor plans, and the second building has 12 floor plans. “I love having a building that offers choice. With an 88-unit building, it’s not too big, but it gives you many types of plans to offer. There are many different types of purchasers,” Logel says. For those who love the expansive feel of a long kitchen island, the corner units have just the item: an island stretching eight-foot, five-and-a half inches long. “For a condo, that’s pretty cool,” says Logel. The main floor units and the top floor units will have nine-foot ceilings. The third and fourth floors offer strong view potential, either toward the downtown skyline or to the mountains. “We believe we have condos that are much more like a single-family home than a condo. Our show suite has a really good-sized island, where you can fit three really good-sized stools and have room in between,” says Logel. Most condo-style apartments offer a U-shaped kitchen with an attached eating bar. At Auburn Walk, however, many floor plans offer islands, which results in excellent flow through the area. A wall-oven package option is available, to free up the space around the hood fan to give better presentation to the cooking space above the range. The exterior of the building is an attractive combination of wide decks, defined columns and peaked roof details. “Our building is designed a little different. What we have is a modern, urban condo building that meets Muskoka,” says Logel, who was originally from Ontario, and moved to Alberta in the mid-1990s. Helping create that relaxed, outdoor living space feeling are extended patio decks on most units on the first and second floors, stretching the width of each condo. “With one of our condos the patio deck is 240 sq ft. In anothercondo the patio deck is over 34 feet long,” Logel says. The show suite will demonstrate a patio in this style, to give a feeling of its spaciousness. The sales centre is located at 105 Auburn Meadows Dr. S.E. The grand opening runs today from noon to 5 p.m. Starting prices range from $179,900 to $349,900, plus GST. Estimated condo fees for a 900-square-foot unit will be in the $325 to $330 per month range. “We believe it’s one of our best locations,” says Logel. Whether their days are spent on a construction site, in a show home or the head office, young people are thriving in Calgary’s homebuilding and land development industries. The developer behind several popular condo complexes in northwest and southeast Calgary have new projects planned for both quadrants this September. Cardel Lifestyles will launch Auburn Walk in the community of Auburn Bay and Nolan Park in Nolan Hill. The company is now taking registration for people seeking more information on these developments on its website cardellifestyles.com. Auburn Walk is a 176-unit development in a prized location, says marketing manager Brad Logel. “The reason we called it Auburn Walk is you can walk to everything,” Logel says. The appeal of the site starts with what’s planned for next door — a shopping centre dubbed Auburn Station, says Logel. And next door to the shopping centre there are convenient transit connections. “For that level of convenience and people’s ability to connect and travel — that’s pretty sweet,” Logel says. He adds, the man-made lake in Auburn Bay is another key amenity near the site. Auburn Walk’s exterior architecture was inspired by hotel lodges in the Muskoka area, says Logel. He adds, the builder also tipped its hat to the Ontario lake community when naming the project’s floor plans. “We have a number of new plans that we think are amazing. I mean, knock it out of the park plans,” says Logel, adding they come with large patios. 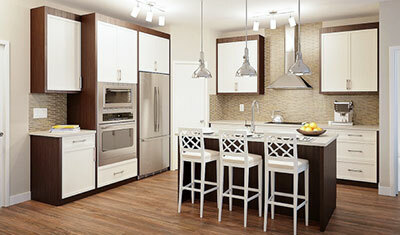 Cardel Lifestyles is currently selling in two southeast Calgary projects, both in the nearby community of Cranston. The first of the two is Cranston Place and the newer development is Cranston Ridge. On the northwest end, the developer has a few units remaining at Panorama West and is selling in the second building at Sage Place in Sage Hill. Nolan Park will boast Hardie Board siding and be comprised of 122 townhomes in three models that come with single, double and tandem garages. “Northwest Calgary has always been an area in high demand for where people want to live,” says Logel, adding townhomes are often “snapped up” quickly. “We have townhomes and a big (seven-hectare) park that you back on to and we’re nestled in with move-up homes,” adds Logel. There’s an increasing number of company leaders and rising stars in their 20s and 30s in the residential business. Here are some of the up-and-comers in home building and development. Tuxedos and trophies are nothing new for Ian Macdonald. 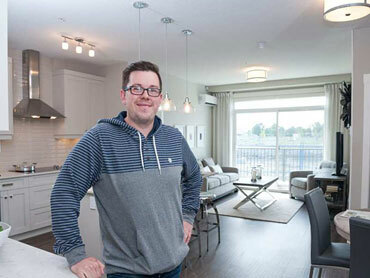 His work at luxury community Watermark at Bearspaw has made the 31-year-old a housing industry award staple. This includes an appearance at the National Canadian Home Builders’ Association SAM (Sales and Marketing) Awards this year in Whistler B.C., where he collected the Community Development Award, a trophy Watermark’s developer Macdonald Development Corp. won for the second time in two years. “I don’t think you can top that one. It’s the Oscars of our industry,” says Macdonald, director of sales and marketing. He adds, the award belongs to Watermark’s residents, who bought into the vision for the community. While some assume Ian Macdonald with Macdonald Development Corp. must mean a family tie, the shared name is only a coincidence. Ian’s father owned and operated home building supply stores and window and door companies across the Okanagan. After university, Ian’s first job was at Macdonald Development Corp.’s Kelowna B.C. project, Highpointe. Here, he sold his most expensive piece of property at $1-million and keeps a photo in a light box to commemorate the milestone. “The light box is still in my dining room to this day,” he says. 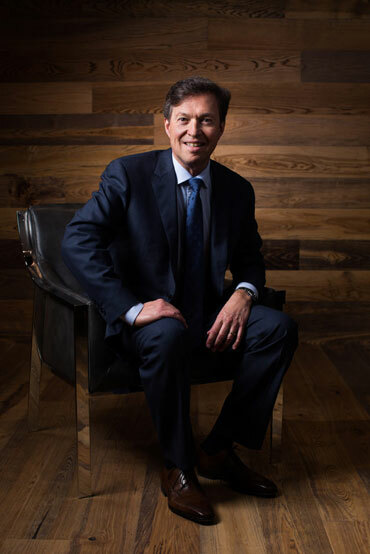 Macdonald’s interest in the residential business comes from the connections he has built through the process of helping people find the right fit for their new home. Nicole Westman-Jones found the career she wanted in an industry she has known her entire life. The 30-year-old has long seen herself in marketing and, “real estate kept following me everywhere I was going,” says Westman-Jones. She’s the marketing manager for Tamani Communities, part of Jayman Group of Companies. This land development company is behind master-planned communities such as Riversong and Riviera in Cochrane. “It was always a topic of conversation,” says Westman-Jones of her exposure to the home building industry growing up. Her father is Jay Westman, co-founder and chair of Jayman MasterBuilt. Westman-Jones says many weekends were spent touring show homes. But the interest in show home parades and alike came later. She says there’s a lot to like about marketing communities. After that, she enjoys watching the community take shape. Nicole and her brother Matthew Westman are part of Jayman’s board of directors. They’re part of a 10-year education and training plan to help be of value to the board, says Westman-Jones. Brayden Logel has worked as a labourer, in sales, and now he’s in the front office for one of the city’s major multi-family developers. Logel is a business development manager for Cardel Lifestyles, where he says innovation and analysis are big parts of the role. Cardel Lifestyles’ current projects include Sage Place, Cranston Ridge, Cranston Place and Panorama West. His father Tim Logel is head of Cardel Lifestyles and uncle Brad Logel is sales and marketing manager, while another uncle Bryan Logel is also in the multi-family development business. “It was always a dinner table conversation and continues to be, despite what my mom would want us to talk about,” says Brayden, laughing. Brayden’s first job was as a labourer at Cardel’s 2002 complex Panamount Place at age 14 and was later an assistant site supervisor at the developer’s Lighthouse Landing project. “The people who I graduated university with … a lot went into oil and gas,” says Brayden, 25. Recently, Brayden was with a new sales person in northwest Calgary, who remarked it seemed they had done a number of projects in the area. “We drove around Lighthouse, Panamount, the townhomes I first started selling in with Brad (Logel) way back when and it brings back a lot of memories. A lot of experiences you’ve had with family and the customers you’ve helped,” adds Brayden. Construction sites and crafting communities won Jared Goldade’s heart at an early age. “My mom and dad built houses when I was growing up,” says Goldade, development manager with WestCreek Developments. His parents would build new homes for the family to live in and his father was a leader in the city’s land development business. WestCreek is the company behind the master-planned community Legacy in southeast Calgary and Timberline Estates on the southwest side. Goldade worked as an engineer before moving over to WestCreek. He also likes the decisions that go into a new community. For Goldade, some of the most enjoyable moments in his job are figuring out the details. “Every day, like every business, we face problems. We face little hurdles to get over and it’s the problem-solving, thinking of solutions — how can we do that different, better, that’s part of the fun,” says Goldade. He connects the interest to his childhood when he and his family would sit around the table and play games and puzzles. “There are so many little intricacies that I love about this business,” adds Goldade. At age 31, not many people run their own company — let alone one responsible for the two tallest residential towers in a major city. That feat belongs to Nicholas Hon. His firm, Hon Towers, has a two-building project called The Guardian. They’re 44 storeys and 146 metres each, breaking the record for tallest in Calgary. Nicholas is no stranger to the home building business. His family owns veteran Calgary home building company Jager Homes. Hon’s personal interest in creating homes is based around planning a space. “I’ve seen buildings that have angles, slants and awkwardly-shaped rooms to help the exterior architecture be more interesting, but it always ends up creating a lot of wasted space because you just can’t furnish it,” he adds. During the economic downturn, a number of large developers stepped away from the market, opening the door for smaller companies such as Hon Towers. Step inside the Panorama and the warmth and livability of this two-bedroom, two-bathroom unit is immediately felt. A closet to the left provides a handy place for stowing a jacket, while the adjacent home office niche is just the place to drop off a computer bag. The Panorama is one of seven floor plans available in Sage Place, a new condo project by Cardel Lifestyles in the northwest community of Sage Hill. Just beyond the closet and office is the laundry room, with space for storage that’s tucked out of the way. To the right of the front door, the Panorama offers a spacious U-shaped kitchen with plenty of cupboard space behind light-coloured, five-panel doors with wide, brushed-metal handles. White subway tiles — with an accent thread of smaller, earth-toned tiles — create a clean, bright backsplash for the well-lit space. The peninsula provides room for the double-undermount, stainless-steel sink. An extended ledge offers two spots for casual dining, or a place for guests to sit and chat while the host works in the kitchen. There is plenty of space for a proper dining table, with seating for four or six near the kitchen. The kitchen is open to the centrally located great room — a comfortable place to lounge while watching a movie or visiting with friends. The great room is bright, too, thanks to natural light flowing in from sliding glass patio doors. The upper-floor Panorama units have a 67-square-foot covered exterior patio, providing enough space for a barbecue and furniture to enjoy warm weather. A gas barbecue line is an available extra. The main-floor Panorama units have extra patio space, totalling 169 square feet, with views from the bedroom windows. The two bedrooms are located on either side of the great room. The secondary bedroom is next to the main bathroom. The master bedroom is a bright room, with enough space for an extra set of drawers or a chair, along with a bed and side tables. The walk-in closet is located along a short hall to the ensuite, which has a single vanity and shower. Sage Place offers seven of Cardel Lifestyles’ familiar and popular floor plans: Edgemont, Tuscany, MacEwan, 10th Anniversary, Kincora, Hampton and Panorama. The plans have some updates and changes from the other projects Cardel Lifestyles is wrapping up. Corner gas fireplaces, for instance, are being replaced with optional electric fireplaces for a sleeker look that also produces less heat. In some plans, an island replaces a peninsula in the kitchen for added flow. A presentation centre is on site at Sage Place, with show suites for the project on display at nearby Panorama West. 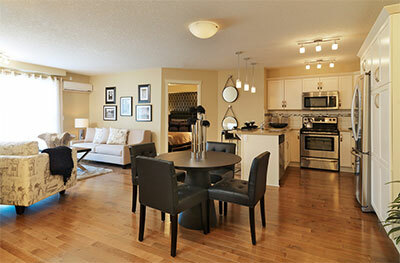 Similar show suites are also available for viewing at Cranston Place in the southeast. Area: Sage Hill in northwest Calgary. Prices: The Panorama floor plan starts at $221,900. The smallest unit, the 10th Anniversary, starts at $189,900, while the largest unit, the Tuscany, starts at $274,900. Prices do not include GST. Condo fees range from $225 to $355 per month. Directions: The building site for Sage Place is at the corner of Shaganappi Trail and Sage Valley Drive N.W. A presentation centre is on site at 450 Sage Valley Dr. N.W. Show suites are nearby at Panorama West at 175 Panatella Hill N.W. Hours: Mondays to Thursdays, 2 to 8 p.m., weekends and holidays from noon to 5 p.m.
Braving snow and chilling winds, buyers began lining up at 7 a.m. eager to be among the first to purchase a home in Cardel Lifestyles newest offering in northwest Calgary – Sage Place in Sage Hill. “We couldn’t be more pleased about the response,” says Brad Logel, sales and marketing manager for Cardel Lifestyles. “It was one of the worst storms of the year and people were there hours before our grand opening (on Nov. 16) in that kind of weather; it was amazing. “It was really quite a day,” he says, noting they sold 20 suites from the launch. “We already have enough sales to start building. In fact, by spring we expect the interest will be such that we can build two buildings at once.” What makes Sage Place so desirable is that it’s bigger, brighter and better than any of Cardel’s previous projects. Logel says buyers are also excited about the location. Sage Place is situated right across the street from a 17-acre commercial site that will start construction in summer 2014. 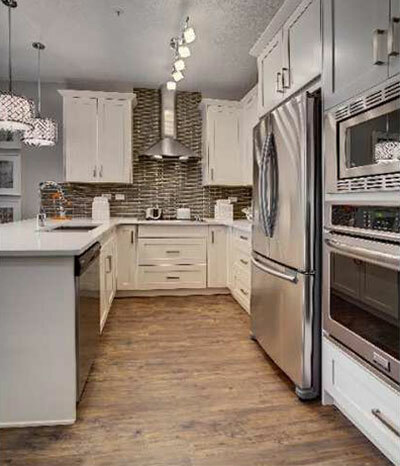 Located just off Shaganappi Trail and 144th Avenue, Sage Place residents have great access to nearby Sarcee Trail, Stoney Trail, Symons Valley Parkway, Country Hill Boulevard and Sage Valley Boulevard. Further, Sage Hill presents a picturesque natural setting with rolling hills and ravines and established pathways and parks. With the launch of Sage Place, Cardel has opened a sales centre on site, and buyers can tour through showsuites at Cardel’s highly successful Panorama West development in Panorama Hills, which has just two suites remaining. Logel says buyers at Sage Place will have the same high quality that people have come to expect from Cardel, including: large spacious plans, patio/decks, six appliances, a storage locker, underground parking, nine-ft. ceilings on the top floor, and four colour choices. “The cool thing is there’s a great ability to customize and you can live your HGTV dream,” Logel says. Buyers will also benefit from Cardel Lifestyles’ “industry-leading low deficiencies,” exceptional customer service, high quality construction and its amazing sound attenuation. As well, 90 per cent of the suites in the first building are bigger with all the remaining suites ranging from 897 to 1,038 sq. ft., which includes four newly designed twobedroom, two-bathroom corner suites, and prices average in the mid-$200,000s. A seasoned multi-family home builder is bringing its tried and true floor plans to a prime location in Sage Hill. Cardel Lifestyles is taking its six most popular floor plans to its latest complex, Sage Place, which opens sales Saturday, Nov. 16. Sage Place consists of 192 units across four buildings. The units are priced starting from $169,900, not including tax. The project will be at the corner of Shaganappi Boulevard and Sage Valley Drive, just south of 144th Avenue N.W. 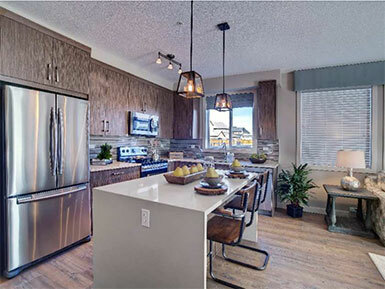 The development follows the release of sales at Cranston Ridge, a southeast Calgary project that opened in October. Cardel Lifestyles prefers to be across from “high amounts of convenience,” says marketing manager Brad Logel, adding Sage Place is no exception. The project will be across from a future shopping centre and near a number of other commercial hubs, including Creekside Shopping Centre, Beacon Hill Shopping Centre, Costa and the new Symons Valley Market. Along with amenities, another way to offer convenience is access points, he says. For residents at Sage Place, this will mean connections to Stoney Trail, Sarcee Trail, Country Hill Boulevard and Deerfoot Trail. “We want locations that have a great feeling — and this one has a great feeling,” says Logel. Most of the project will come in two-bedroom floor plans, with an eight-foot ceiling on the first three floors and nine feet on the fourth floor. The largest of these units is its 1,038-square-foot corner unit, The Tuscany, which includes an 81-square-foot patio. Other units with this patio include the 992-square-foot Hampton, the 960-square-foot Edgemont and the 941-square-foot Kincora. Units with a 67-square-foot patio include the 897-square-foot Panorama B and 654-square-foot Anniversary plan. The patio on the Panorama B could be larger, depending on its location in the building. Each unit has extra-wide windows to bring in more natural light, says Logel. “It’s very bright, and who doesn’t like bright?” he says. Most of the condos come with titled underground parking, with surface stalls available for purchase. While the complex will be near Sage Hill, sales will be at Panorama West, the builder’s other northwest Calgary project, at 175 Panatella Hill N.W. The sales centre is open from 2 to 8 p.m., Mondays through Thursdays, and noon to 5 p.m. on weekends. 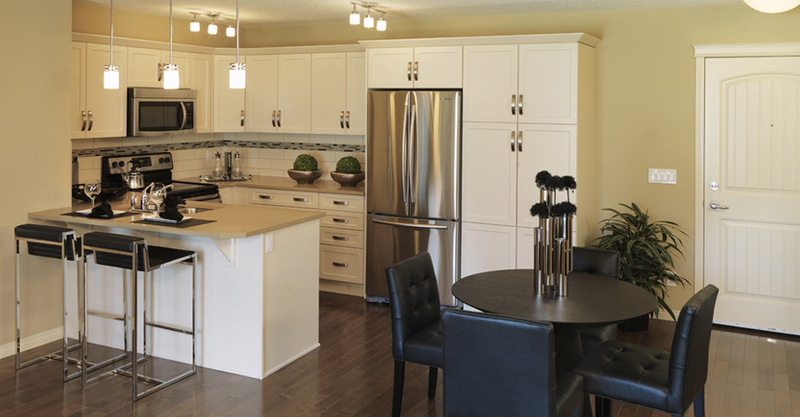 A division of Cardel Homes, Cardel Lifestyles is a veteran Calgary multi-family builder. The company recently rolled out two new complexes — Cranston Ridge and Sage Place. Cardel Lifestyles has immediate possessions at its last Cranston project, Cranston Place, and is down to its final few units at Panorama West in Panorama Hills. Before that, it built McKenzie Towne’s Prestwick Place and the Riverside Townhomes in Chaparral Valley. Talk about natural beauty. Some of Mother Nature’s most scenic touches to the Calgary landscape are within sight of a new project by a seasoned multi-family homebuilder. Cardel Lifestyles is launching Cranston Ridge on Nov. 2. The complex features 256 apartments and 15 townhomes in Cranston, a southeast Calgary community master-planned by Brookfield Residential Properties. Cranston is next to Fish Creek Provincial Park and near the Bow River. The aptly-named Cranston Ridge overlooks the river valley and has prime views of the Rocky Mountains. “Views like this are rare for affordable condos,” says sales and marketing manager Brad Logel. The homes start at $169,900, before tax. Most of the units have titled underground parking and additional surface parking stalls are available for sale. “Being able to go for a walk along Cranston Ridge and experience a different life-size painting every day is magical and inspiring,” says Logel. The project is within quick access to Deerfoot Trail and is just down the street from a small commercial site. Most of the development consists of two-bedroom floor plans that come in six models ranging from 654 to 1,039 square feet. “Our thought process for our plans are that we want a downtown condo, but at the suburban price in our master-planned community,” says Logel. The company’s two-bedroom layout — which contains 897 square feet of space, including two bathrooms — is the “most popular plan company-wide, wherever we build,” says Logel. The design also offers larger kitchen options with a full pantry. “When you walk into this home — and, based on how we designed it, the use of space — and you go with the deluxe gourmet kitchen option, there is as much kitchen cabinetry and counter space as we put in some single-family homes,” says Logel. All floors in the buildings in the project have soaring nine-foot ceilings. The apartments come with six appliances and spacious patio decks to take advantage of the views. This is Cardel Lifestyles’ second project in Cranston following a three-building complex called Cranston Place. Floor plans in the new development are similar to those in the previous complex. Buyers interested in Cranston Ridge are encouraged to visit the existing show homes at Cranston Place, which is located at 302 Cranston Road S.E. Retired couple Shari and Bill Karns recently downsized from a single-family home in another southeast Calgary suburban community to an apartment at Cranston Place. “We liked the way they were built,” says Shari, adding the quality finishes caught their eye. The couple bought a 941-square-foot apartment with two bedrooms and two bathrooms. 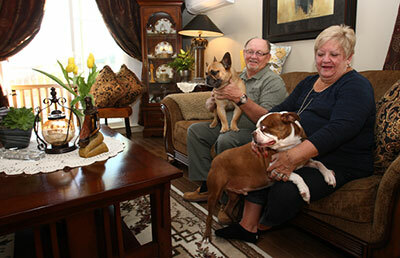 As a couple in their 60s, they wanted a place they could be in long-term. Also a plus was that the couple could take their two dogs with them. They have a French bulldog named Hank and a Boston terrier named Boston. There’s also plenty of green space for the couple to take their pups to play. “There’s a park across the road, and Bill takes them over there and plays ball with them,” says Shari. 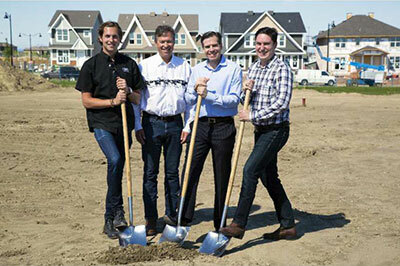 Cardel Lifestyles’ next development will be Sage Place in northwest Calgary. The 192-unit apartment complex in Sage Hill is to open in November. Area: Cranston is a community in southeast Calgary. Prices: Apartments start from $169,900. Hours: The sales centre for Cranston Ridge is at Cardel Lifestyles’ other multi-family project in the community Cranston Place. It is open 2 to 8 p.m. Monday through Thursday and noon to 5 p.m. on weekends and holidays. Directions: The sales centre is located at 302 Cranston Rd. To get there, take Deerfoot Trail to Cranston Ave., and go right on Cranberry Road. Cardel Lifestyles is the multi-family builder arm of veteran city builder Cardel Homes. The multi-family side launched in 2000 and is led by industry veteran Tim Logel. Cardel Lifestyles’ current projects include Cranston Place, Panorama West, Prestwick Place, and Riverside Townhomes. 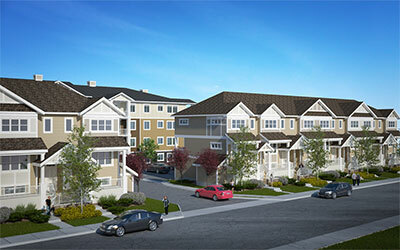 Cranston Ridge will launch on Nov 2 and Sage Place is expected to open sales in November. Cranston is a community in southeast Calgary that is being master-planned by Brookfield Residential Properties. Fish Creek Provincial Park and the Bow River are both nearby. 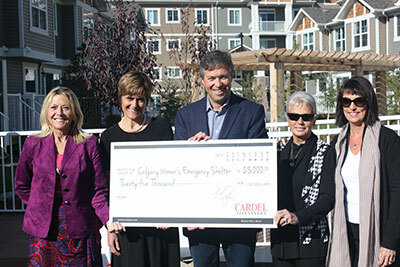 On Wednesday October 9th, Tim Logel President and Partner of Cardel Lifestyles presented a cheque for $25,000 to the Calgary Women’s Emergency Shelter (“CWES”). The presentation took place in the park at Cardel Lifestyle’s Cranston Place Condo and Townhome Development. Cranston is an award winning neighbourhood by Brookfield, located in SE Calgary. The 25,000 donation was part of a promise that Tim Logel and business partner Ryan Ockey made last October 11th at the Grand Opening of their Cranston Place Development. They pledged $500 from the sale from each condos and townhome at Cranston Place to CWES for their campaign to raise funds for the renovation of their shelter. This was the second donation to CWES by Cardel Lifestyles bringing the total to date amount given to $50,000. The Renovation Campaign for CWES has successfully raised 1.2 million dollars to date. To reach their goal of completing their renovation they still need to raise another 1 million dollars. The Calgary Women’s Emergency Shelter purpose is to support individuals and families in their efforts to live free from family violence and abuse. Cranston Place is built on 5 acres, with 144 condos and 43 townhomes. The condo and townhome development is expected to be completed this February. 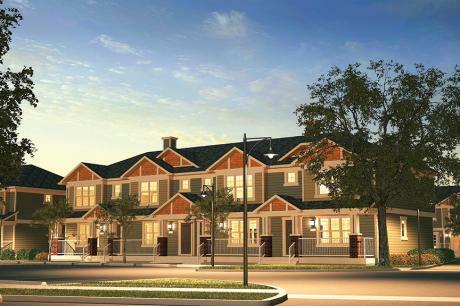 Cardel Lifestyles will be launching another condo and townhome development in Cranston this fall called Cranston Ridge. Cardel Lifestyles is Calgary’s #1 Condo and Townhome Builder (based on CHBA Building Permit Statistics 2006-2012). L to R: Ann O’Donnell (Director of Resource Development & Communications – CWES); Gillian Weaver-Dunlop (Acting Executive Director – CWES); Tim Logel (President & Partner Cardel Lifestyles); Shelly Norris (Co Chair Renovation Campaign – CWES); Sherri Logel (Co Chair Renovation Campaign – CWES). Please note: CWES stands for Calgary Women’s Emergency Shelter. The northwest neighbourhood of Sage Hill is the perfect example of this growth, as the young community is on its final stages of development in what seemed like such a short time since the first show home parade opened here. “We’re on the final phase of development, with only one more phase left for single-family homes, which together with the multi-family developments of Sonoma at Sage Hill and Sage Stone, mark the final opportunities to buy a new home in this community,” says Steve LePan, marketing director at United Communities, the developer of Sage Hills. Panorama West’s walk-ability level is one of its biggest draws and will be even more so with the new Save On Foods Grocery next door in The Gates of Panorama Hills Shopping Centre opening this fall. “Our homeowners are very excited to see the soon-to-be-completed shopping centre next door and their walking score go way up!” Logel says. The new grocery is just one of several amenities within easy walking distance of Panorama West. Here buyers will find themselves mere steps away from a wide and varied selection of restaurants, a Medi Centre walk-in clinic, TD Canada Trust, Bank of Nova Scotia, Rexall Drugs, Restaurants, and yes even a Tim Hortons, too. Cardel Lifestyles has a knack for finding locations that provide easy living convenience to residents. They look for existing amenities already in communities they build in, like the number of schools, how many entrances there are into the community, the walk-ability, parks, pathways, tot lots, splash park, and additional amenities like restaurants, banks, public transit and gas stations. “Panorama Hills is a ‘have’ neighbourhood, as it has everything from schools and shops, to transit, parks, and pathways,” says sales area manager Brad Logel. At Panorama West, buyers can purchase one-bedroom condos from $159,900, ranging in size from 572 to 750 square-feet. Two bedroom suites start at $179,900 and are from 624 to 1,037 square-feet. There are eight floor plans to choose from, but Logel says the two-bedroom, two-bathroom suites are their best sellers. Despite the success, Cardel Lifestyles doesn’t sit on their laurel, as they have redesigned their Tuscany 2, Paramount 2, and Edgemont 2 — their three largest floor plans – with an entirely new concept for Building D.
These now range from 940 to 1,037 square-feet, have been redesigned by bringing in more space in the kitchen, and master ensuite. These plans have typically attracted downsizers and the changes make it easier for them to transition from a single-family home. Each Panorama West suite comes with its own storage locker which is perfect for buyers that are active in sports and need a place to keep their gear, or even just a place to keep your clutter, each unit also has its own titled parking stall either underground or surface, depending on the unit they buy. Each condo also comes with a large patio deck. All condos include six standard appliances in each suite, buyers can enjoy a larger fridge, dishwasher, range, front load energy efficient washer/dryers and a vented hood fan in their stylish new kitchens. Additional standards in each suite include either a private patio or balcony, six-foot-eight-inch patio door that allows for more natural light are available depending on the model, and Moen plumbing fixtures. Buyers have five different options for their cabinetry, there are four interior design colour packages, that allows each suite to be different and unique to each buyers taste. Another great standard is that the legal fees are included. Logel adds that they also provide industry leading sound reduction by using Gypcrete concrete floors and sound bars that absorb sound for a quiet living experience. Along with great standard features Cardel Lifestyles is focused on providing exceptional quality; it’s their goal to turn over homes with zero deficiencies. In 2012, Cardel Lifestyles achieved this 225 times, meaning 225 customers couldn’t find even a scratch when they inspected their home on possession day. This provides purchasers an unmatched level of confidence when buying a new home from Cardel Lifestyles. “At Panorama West we have amazing choice of condo plans in one of Calgary’s best locations while providing quality and value. I wouldn’t wait too long to purchase though, this is the last condo building in Panorama Hills” says Logel. Cardel Lifestyles always has the unique ability to find amazing locations that will offer their customers the conveniences of shops, parks, pathways and great access at the doorstep. With its newest condominium offering, Sage Place in Sage Hill, Cardel has done it again. “We’re really excited about being able to offer an affordable condo development in a location with all the conveniences people want,” says sales and marketing manager Brad Logel, noting that prices start at $169,900. Sage Place will be located “in the new northwest, just off Shaganappi Trail and 144th Avenue,” he says, offering great access points and terrific transportation routes with Sarcee Trail, Stoney Trail, Symons Valley Parkway and Sage Valley Boulevard all nearby. Further, Sage Hill presents a picturesque natural setting with rolling hills and ravines, established pathways and parks, and residents will be able to walk to a commercial site right across the street that is expected to begin development in 2014, offering a range of shops and services. Sales for Sage Place will launch Nov. 16 from the existing showsuites and sales centre in Cardel’s highly successful Panorama West development in Panorama Hills, which has just a few suites remaining. Interested buyers will also be able to visit a sales presentation centre at the Sage Place location. Buyers will find the 653-sq.-ft. anniversary two-bedroom, one-bathroom suite and their most popular plan – the 897-sq.-ft. two-bedroom, twobathroom Panorama – along with four different two-bedroom, twobathroom corner suites ranging from 940 to 1,039 sq. ft.
They’ll also love that Cardel allows them to personalize their suites and is offering an assortment of four colour choices for Sage Hill. “The cool thing is there’s a great ability to customize and you can live your HGTV dream,” Logel says. Logel says they will have the same high quality that people have come to expect from Cardel, including large spacious plans, patio decks, six appliances, a storage locker and underground parking, along with great-looking Hardie Board exterior siding. Buyers will also benefit from Cardel Lifestyles’ “industry-leading low deficiencies,” exceptional customer service, high-quality construction and its amazing sound attenuation. The location of Sage Place means residents can enjoy a vast range of existing shops, groceries, coffee shops, services, restaurants and more at Creekside Shopping Plaza and Beacon Hills, both just minutes away, and they can even walk to the local farmers market at the Symons Valley Ranch. Cardel Lifestyles has released its fourth and final building in the apartment-style condominiums of Panorama West, offering one of the last chances to build this type of home in the desirable northwest community of Panorama Hills. “It’s the last apartment-condo building in Panorama Hills,” says area manager Brad Logel. The four-storey buildings will hold 288 homes when completed, with the final 80 homes due for possession the summer of 2014. The exterior elevations of Panorama West boast vinyl siding with decorative rundlestone and post beam accents. “Our buildings look like they would be at home in Canmore,” says Logel. Inside the development are nine floor plans from which to choose with plans ranging from 572 sq. ft. to 1,037 sq. ft.
Standard throughout the final building will be brushed chrome hardware, an extended kitchen eating bar, knock-down style ceilings, a personal storage unit and a patio deck. Interior design will offer a choice of four interior design packages, including the option of five cabinet choices. Logel says reaction to the first three buildings has been fantastic, with people impressed by the size of the condos for the price as well as the size of the kitchens in the open-concept, well-designed space. “Our kitchens resemble more of a smaller, single-family home than a typical condo,” he says. The development features sitting areas such as a gazebo and benches. Each home will come with an assigned parking stall, either underground or uncovered. The development is near to an abundance of amenities, such as the Cardel Place recreation centre and the shopping centres of Country Hills Village and the Gates of Panorama. Panorama West embodies the popularity of this north central neighbourhood, as only about a fourth of the 288-unit development is left barely two years since sales began. There are five remaining suites in Building C that is being completed by this fall, while Building D will see its first possessions start May 2014. “This may in fact be the final opportunity to own a brand new home in this highly-sought after community,” Logel says. Cardel Lifestyles long ago established three strategic elements to being successful in Calgary’s multi-family housing market – location, price, and bang for the buck. The company, with president and partner Tim Logel at the helm, has a knack for spotting potential building sites close to desired amenities, providing price points that cater to various homebuying segments, and offering a comforting feeling of value. All of these factors are in place with the recent opening of Cardel’s latest condominium creation, Cranston Place, on five acres of land in the southeast community of Cranston, just across the Deerfoot Trail from the new South Health Campus in Seton, and short walk to neighbourhood retail amenities. Cranston Place is a nice blend of 144 apartments in three buildings measuring from 625 to 1,000 square-feet, and 43 three-bedroom townhouses covering 1,260 square-feet. Apartment prices start in the $180,000s and townhouses are priced from the mid-$200,000s. Cardel Lifestyles’ latest gem, extends the string of successful developments put together by the company. Lighthouse Landing in the north-central area of the city, the largest project undertaken by Cardel Lifestyles at 511 units, is now complete. Panorama West in the northwest will see the fourth and final 80-unit building brought to the market early next year, while just 20 of 95 units in Riverside Towns in Chaparral Valley in the southeast are left to sell. As well, just 20 completed units are left to sell in Prestwick Place in McKenzieTowne. Add all completed projects, and Logel is excited by the upcoming milestone that will, by the end of 2013, see the company having built 2,000 condo apartments and townhouses. “In 2013, we are finalizing plans to introduce our Cranston Ridge, about one kilometre south of Cranston Place, that will have 204 apartments and townhouses, as well as another 200 units in Sage Hill in the northwest,” says Logel. As positive as 2011 and 2012 have been for Cardel Lifestyles, Logel says that what he is most proud of is the iron-clad commitment to quality that has gone into the developments. “In the last two years, more than 75 per cent of the apartments and townhouses we’ve turned over to buyers have had zero deficiencies — all part of what we call the Perfect Possession Day Plan, which is part of our strategy to exceed customer expectations,” he adds.